Dip a toe, paw, or fin into history with this fact-tastic Level 2 Ready-to-Read, part of a new series all about pets and the people who loved them! 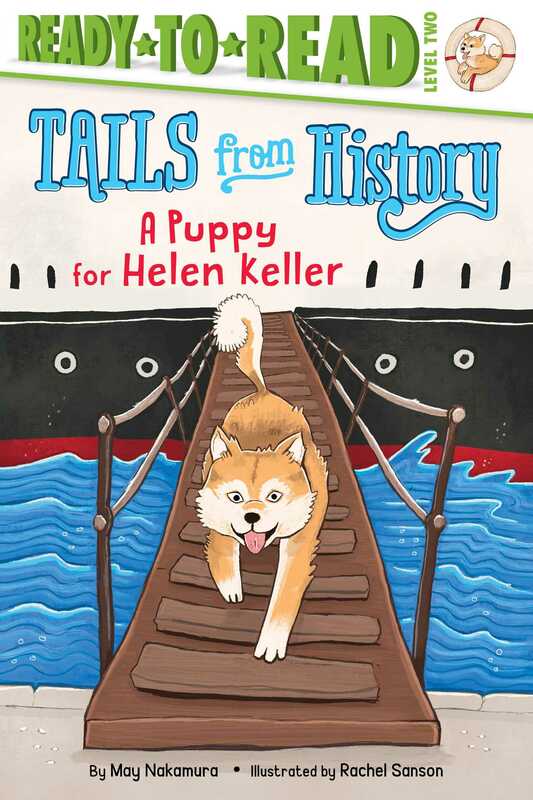 In this story, learn all about Helen Keller and her Akita puppies, the first to travel to the United States! Helen Keller inspired people all around the world, but what inspired Helen? Helen was enchanted by the loyal Akita dogs from Japan. The Japanese people wanted to give Helen her own Akita, but trouble was brewing between Japan and the United States. Would the puppy arrive safely to his new owner? Learn all about Helen Keller, Akita dogs, and Japan in this fact-filled Level 2 Ready-to-Read. May Nakamura writes and edits books for children. She grew up in the San Francisco Bay Area but now lives in New York City. She really likes eating maple donuts and playing hide and seek (but not at the same time)! Rachel Sanson is an illustrator who was born deep in the north of England and is currently living in Manchester. She graduated from the University of Lincoln with a degree in illustration after three years in a little studio perched on the top of a hill. Rachel usually works digitally, incorporating bright colors, patterns, and textures into her work, and strives to come up with big, larger-than-life characters for children’s picture book stories. Her biggest influences are all things Halloween and pirate-related, games, film, the woods she grew up next to, and, of course, illustrators from her childhood. Rachel can usually be found in a corner sketching and drinking tea but spends her free time chasing cats, listening to embarrassing music, and watching horror films until the early hours of the morning.